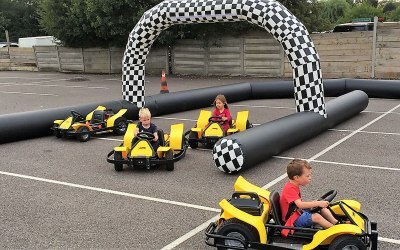 Mobile go-karting for children aged 3-11 years, Inflatable Fun, Bouncy Castles, Mascot Meet and Greet, located in Essex. 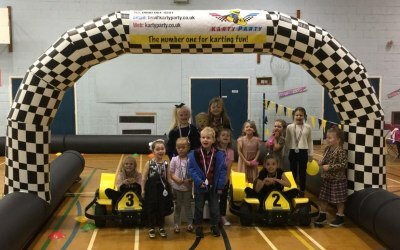 Karty-Party Limited is a fully insured children's entertainment business located in Benfleet, Essex. 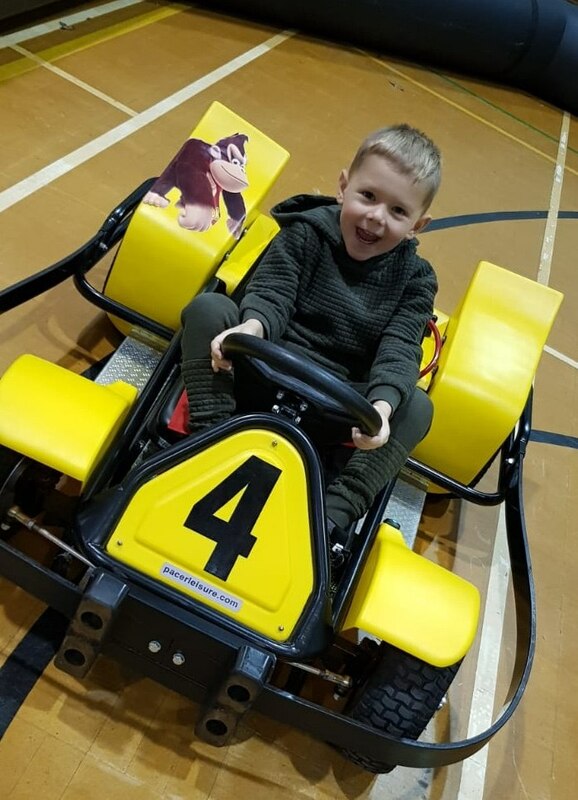 We have recently purchased the latest and most up-to date commercial go-karts, which is the latest innovation in children’s entertainment, aimed at providing 3-11 year old boys and girls the ultimate driving experience. 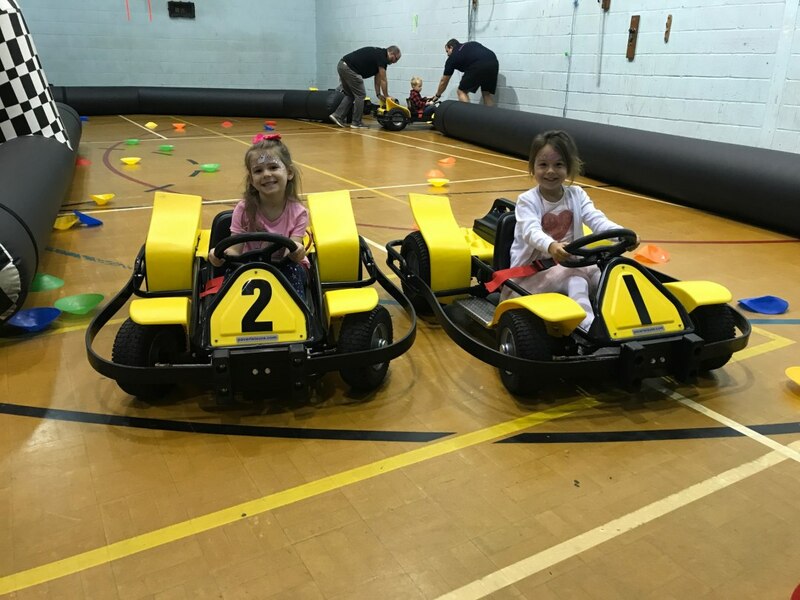 The karts have variable speed limits, and are battery powered enabling us to provide a fun and safe environment for all participants. 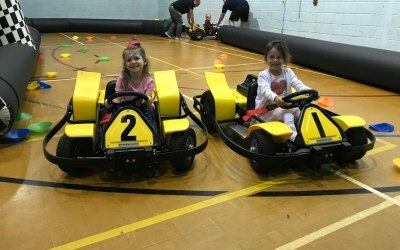 Our Karts are unique in many aspects, including their appearance, set up, and experience they offer the children. The karts are brightly colourful and eye catching, making them stand out at any event. 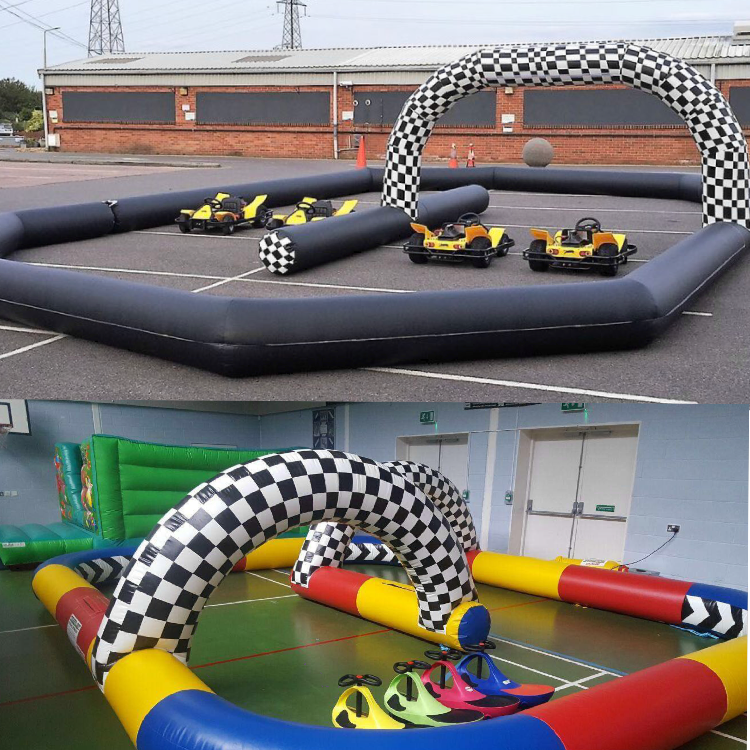 They are operated within an inflatable track that also appeals to the children due to the overall excitement of a go-kart track. 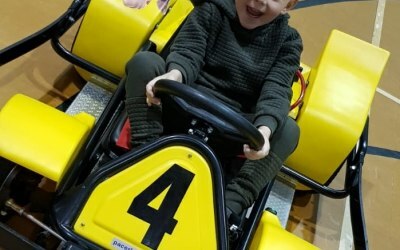 These events give great photo opportunity and make long and lasting memories for your child. 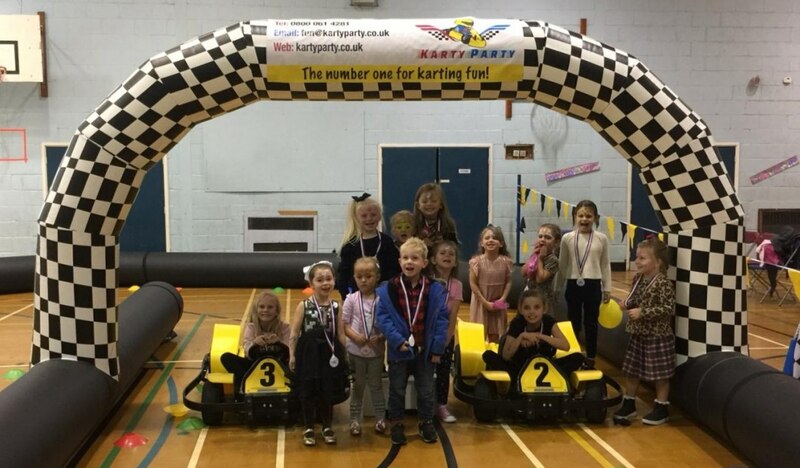 We cater for all events from Children's parties, to fun days, corporate events, weddings and more. 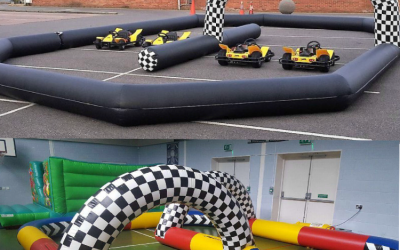 We can do the whole package for you from the go-karts to inflatable fun and meet and greet with mascots. Absolute brilliant service. I hired a photo booth and Dave who worked on the night was brilliant. My guests commented on what a lovely man he was. Very helpful and kept everyone happy. He actually got another booking at my party!! 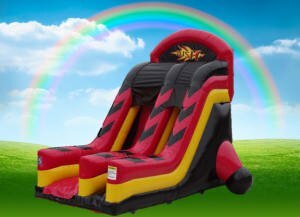 The price was the best I could find and it was money well spent. Everyone enjoyed the photo booth. 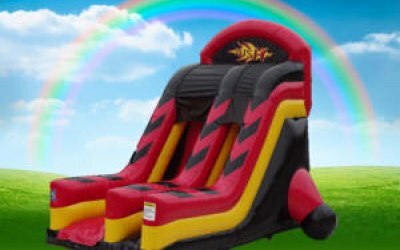 I would highly recommend Kartyparty....10 out of 10....thank you !!!!! In a competitive world where many business's take your money and not deliver it was refreshing to find a company that did! Good communications before event. Quick to respond to any questions. Very friendly employee from company arrived on time as promised and set up without us even knowing he was there. 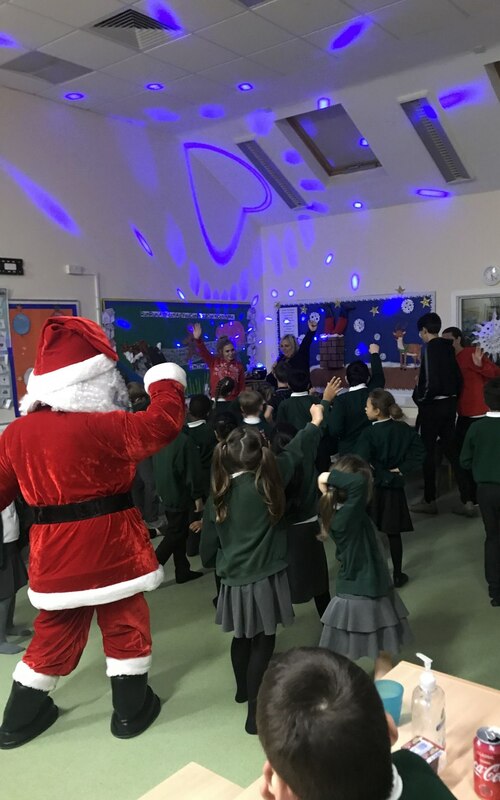 He ran the photo booth for extra than the allocated time booked and the guests which were mainly 18 year olds as well as some close family and friends thoroughly enjoyed it. I'd highly recommend this company if your thinking of hiring a photo booth. 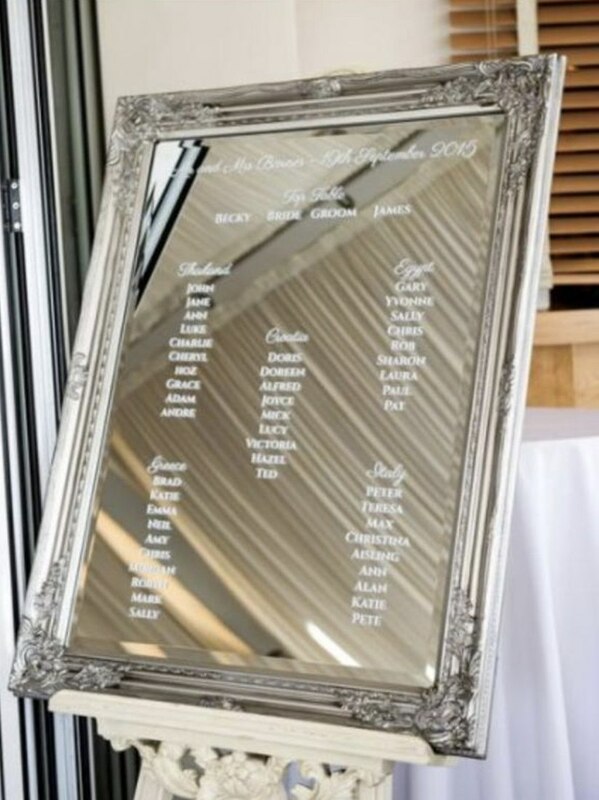 Many happy memories made which are printed and given to you as you take them as well as a memory stick of all pictures taken given at the end of the night. 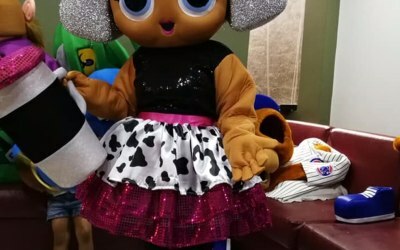 Huge thank you Karty-Party! 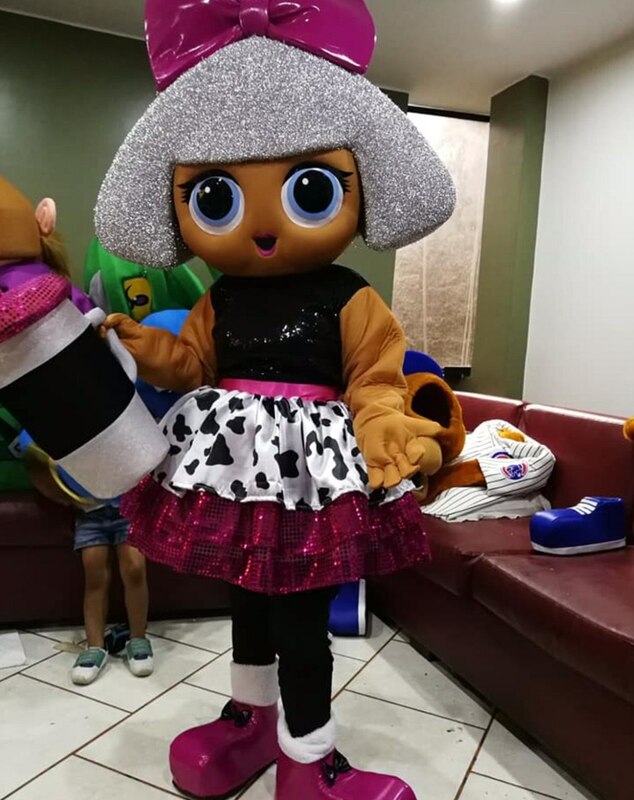 Thanks for comming to the party on Sunday, such lovely people and so patient with the children although they were a little scared! The photo booth was a great addition to our party, The lads manning it really helped make the atmosphere. 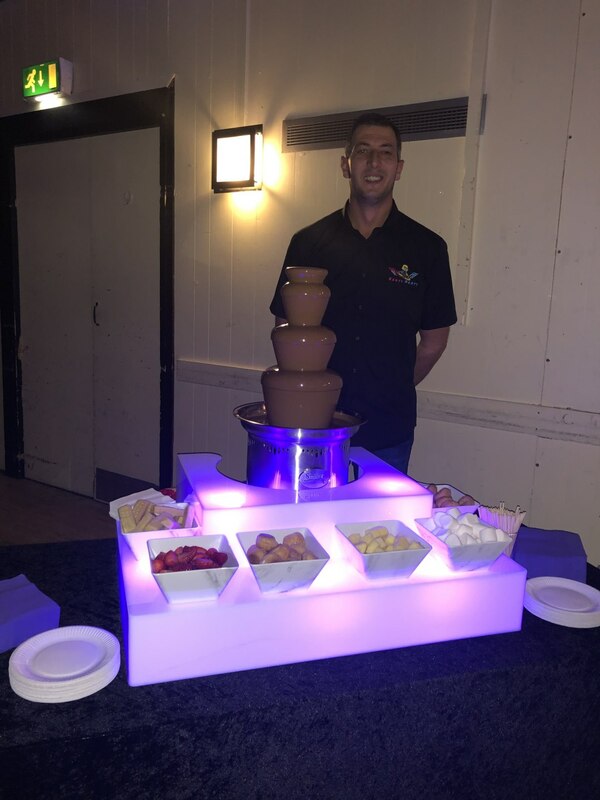 The chocolate fountain went down extremely well. I thoroughly recommend these guys. Many thanks for the review, Steve. 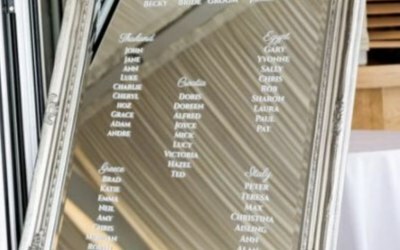 The evening was fantastic and all the guests were brilliant!! 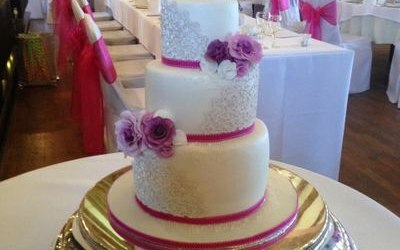 Gavin responded quickly & efficiently to my request & everything was easily organised even with my request being last minute! Dave the photo booth attendant was set up & ready to go in no time, the booth looked great & there were plenty of props. 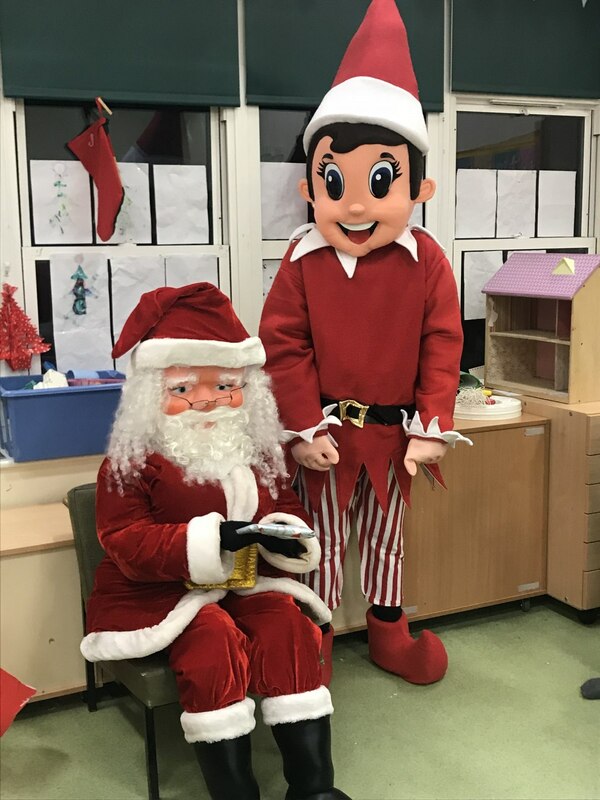 As well as the pics being printed out on the night (themed with a little christmas 2018 design dave set up) we also got a memory stick with them on at the end of the night. Huge thanks for saving the day and for being so wonderful with all our guests. A truly professional service from start to finish. 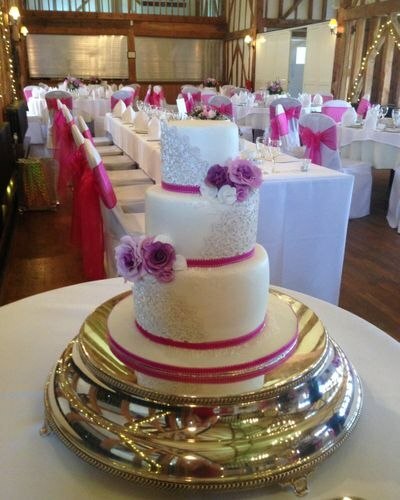 5 star in every way possible, I cannot recommend them highly enough we will certainly be re booking for future events! Get quotes from Karty-Party and others within hours.